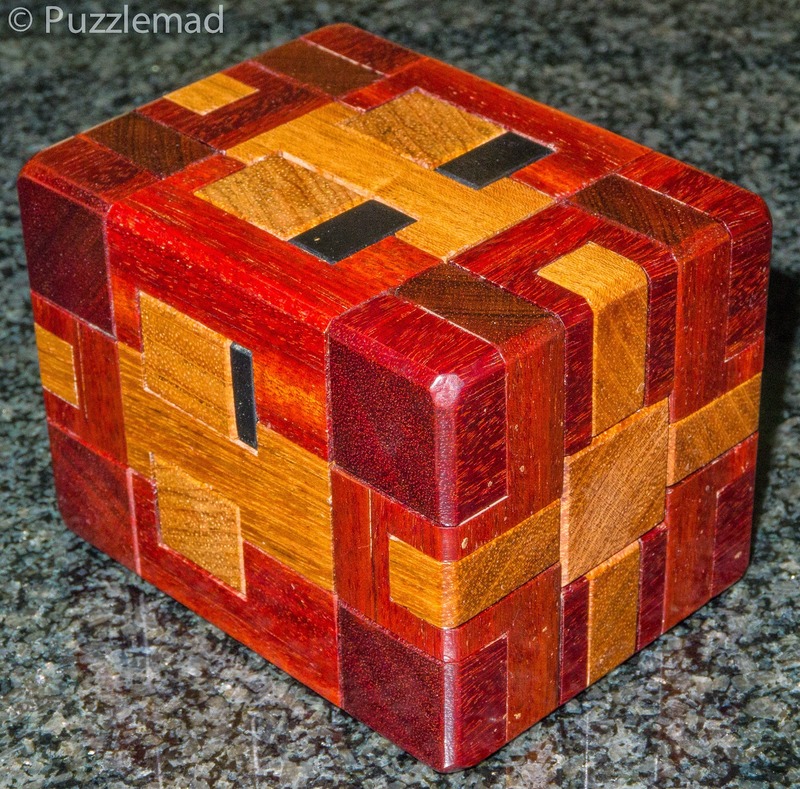 My friend Jerry has been at it again - he had an idea some time ago for an interlocking puzzle which used internal pins and he produced Pinburr 1 which I showed off here. After some discussion he had an even bigger idea and his little cube became a little longer and a little more complex. 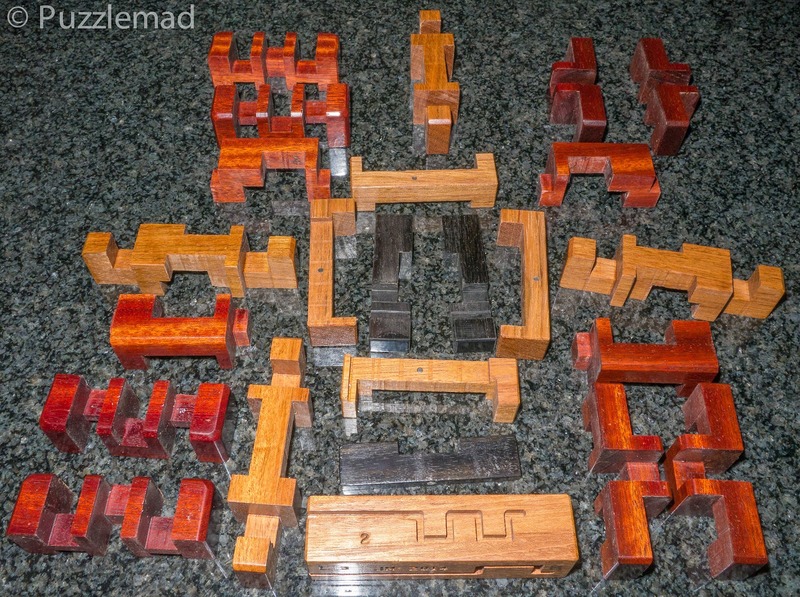 It arrived a few days ago and as always is beautifully made from Bloodwood, Mahogany and Ebony. It dismantles into lots of wonderfully tactile pieces! The best thing? It has an N-ary component to it!